I have recently brought a Alcatel OS6350-P10 switch. I want to configure this switch through console port. I have a DB9 connector which I have got with the switch and a RJ-45 cable. How to I connect my PC to console port? 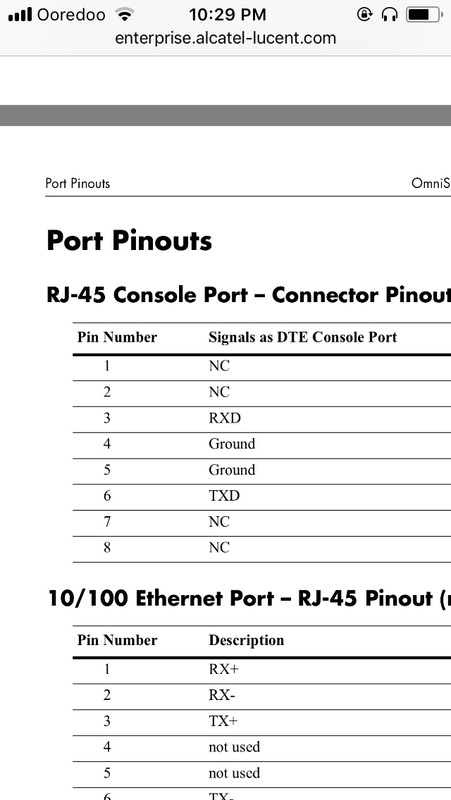 Also tell me which type of RJ-45 cable I should use to access console port(Straight through, Crossover or Rollover). Please help.